29 partners from nine different countries form the MONICA consortium, representing a multitude of specialists from different disciplines. Fraunhofer Gesellschaft zur Förderung der angewandten Forschung e.V. (FIT) is the leading organisation of institutes of applied research and development in Europe. FIT is an autonomous organisation with a decentralised organisational structure of 62 institutes, of which 15 are dedicated to research in information and communication technology. Future-oriented strategic research is carried out with the aim of promoting innovations in key technologies with an economic and social relevance in the next five to ten years. 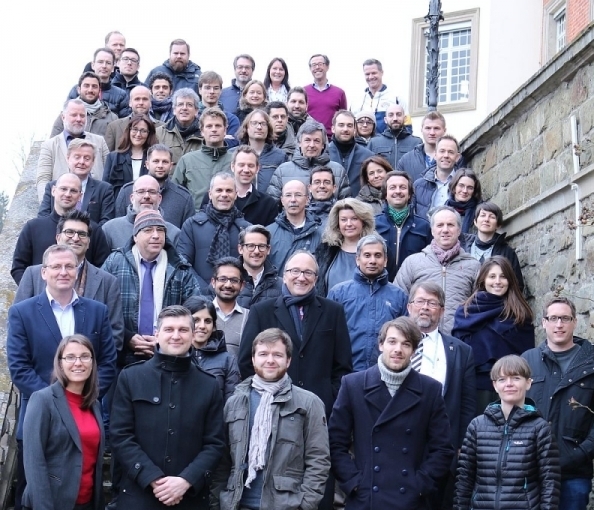 Working within the framework of the European Union’s research and technological development programs, FIT collaborates in industrial consortia on technical issues ultimately destined to improve the competitiveness of European industry. In MONICA, FIT will be Project Coordinator and will also work on IoT middleware deployment and be the overall leader of the pilot execution tasks. Tivoli Gardens is a leading Danish cultural institution and provider of entertainment and recreational activities since its opening in 1843. The park receives approximately 4.7 million guests annually. Situated in the heart of Copenhagen, the park functions as an oasis in the urban context – a place to be entertained and enchanted. Tivoli is home to scenic park settings and cultural heritage, dining, amusements and not least a venue for numerous outdoor performances and concerts – the latter the prime reason for Tivoli’s contribution to the MONICA project. Tivoli will form the testing ground for sound emission levels during eight outdoor concerts besides initiatives related to crowd safety and communication. Leading sound specialists will develop technological solutions aimed at improving sound emission levels within and outside Tivoli – that is, potentially increase sound levels within the park while observing sound level limitations. Within the park, the specialists will seek to develop systems that can generate local ‘silence zones’, for the benefit and safety of guests and personnel. Tivoli will also be the testing ground for advanced surveillance camera solutions and communications media that will improve guest safety, management and communication during large-scale events in real time or through subsequent analysis. As the capital of Denmark, Copenhagen is known for being a lively, friendly and active city. During the last 10 years, outdoor activities have increased in the city. People go out to eat in restaurants as well as Street Food environments, people swim in the harbour, and outdoor concerts and events have grown in number. The City of Copenhagen is pleased and proud of this development. However, the city wants to make room for a broad group of people and lifestyles which means that the living conditions for the inhabitants are just as important as for people attending the many activities in the city. Therefore, the city is looking for methods, technologies and political initiatives that can reduce noise and other negative impacts from these activities. MONICA is thus obviously an interesting project for Copenhagen. If sound can be regulated in a more suitable way and security in large groups of people optimised, it would be a very welcome development for Copenhagen. That is why Copenhagen will follow the test results from Friday Rock in Tivoli – the historical amusement park in the centre of Copenhagen – with high attention. Historically a manufacturing town, over the last decades Torino has undergone great transformation and the city now has a new identity, promoting culture, tourism, educational and academic excellence, innovation and knowledge. Today Torino is an international, lively, amazing and multifaceted city, a global melting pot with about 150,000 inhabitants of foreign origin and nearly 900,000 nationals, all well integrated in the city’s life and working in several productive sectors, representing a model of integration and richness for the area. In the framework of the MONICA project, the City of Torino is mainly involved in the pilot action implementation with two case studies: 1) the MOVIDA night life which takes place every weekend in the city district of San San Salvario and involves thousands of people; 2) the Kappa FuturFestival, the annual main summer outdoor dance music event in Italy: urban and 100% diurnal it attracts a wide international public. Movement Entertainment was founded in 2006 as a non-profit association based in Torino. Its business is the production of clever entertainment formats of digital arts and electronic music, both under its own speed and on demand. Movement Entertainment created Movement Torino Music Festival, which has been held 11 times, and Kappa FuturFestival, now at its 6th event. Kappa FuturFestival is one of the pilot sites of the MONICA project. It is the leading summer, outdoor, urban, 100% daytime electronic music format in Italy. KFF takes place in Parco Dora, the biggest post-industrial recovered green area in Europe, on the outskirts of Torino. The 2016 event confirmed it as the most beloved day-time Italian summer festival registering around 40,000 entries over the two days. In 2016, both KFF and Movement Festival have been granted the EU Commission Representation’s patronage, a first time for this kind of event in Italy. The Free and Hanseatic City of Hamburg, one of the 16 states of the federation, is the second largest city in Germany. With its many large-scale open air events throughout the year, it is a city well suited to demonstrate existing and new Internet of Things technologies for Smarter Living. As one of six pilot cities in MONICA, Hamburg has chosen to demonstrate the MONICA platform during the biggest goose fair of northern Germany – the Hamburger DOM – and the annual Port Anniversary. The two events have more than a million daily visitors each and represent great challenges to the City organisers in terms of security and noise. To run the Hamburg demonstration, the Senate Chancellery (Mayor’s Office), as the gravity centre of political power here, will collaborate with the State agency for Geoinformation and Surveying who will be responsible for providing, handling and producing all necessary data for Hamburg. As a local partner the University of Applied Sciences will also contribute with their technological knowledge. Hamburg’s University of Applied Sciences (HAW) is a large academic institution with a strong focus on engineering and computer science. Internet Technologies (INET) is a research group in the Department of Informatics at HAW Hamburg. We perform research and development of technologies and applications for a Next Generation Internet. Maintaining an applied, evolutionary perspective, we seek for solutions of practical relevance. The Internet of Things (IoT) is a corner stone of our current research activities, where we actively contribute to the standardisation of open protocols in the IETF/IRTF. As a co-founder of the open source project RIOT-OS, the friendly operating system for the IoT, the INET RG fosters open standards and software for a vendor-independent IoT ecosystem. Together with our local partners, the Senate Chancellery of Hamburg (FFH-SC) and the State Agency for Geoinformation and Surveying, we will operate the Hamburg pilot and provide support in deploying the MONICA IoT platform at two widely known, annual events: the Hamburg port anniversary and the Hamburg DOM goose fair. Acoucité is a non-profit organisation created by Greater Lyon (Lyon + 58 cities around) in 1996 to link research centres and local authorities on the subject of environmental acoustics. Its partners are technical and governmental structures working in the field of acoustics. Members of Acoucité are cities and agglomerations. Its role in the MONICA project is to facilitate the running of the MONICA platform in Lyon and to act as an interface between the experts and the local authorities to access social and environmental needs. Acoucité will be involved in the acoustic ecosystem, the noise monitoring and the assessment of subjective data. Acoucité is also interested in introducing IOT technology in its approach of monitoring in urban areas and assessing how MONICA solutions are accepted by local authorities and citizens. Bonn is an active, international and cosmopolitan city, situated in North Rhine-Westphalia, the most populous state in Germany. The former capital reinvented itself to become an innovative, globally linked city in the fields of sustainable development, science, culture and economy, providing a high quality of life. Bonn’s most famous son, Ludwig van Beethoven, and his music “Ode to Joy” still conducts the cultural life in the city. Music and culture are matters of the heart for the city. Two examples of that are the large open air events “Rhine in Flames”, up to 100,000 visitors, and the funfair “Pützchens Markt”, 1 million visitors over 5 days. Both represent the joy of life as part of Bonn’s identity and cultural heritage. Addressing threats and challenges and enhancing the cultural experience for all events in Bonn by exploring the latest IoT technologies and IT solutions provided by the MONICA project will support the city’s ambition to improve the quality of life, joy, for all. Leeds Rhinos can trace their history back to the opening of their famous home, Headingley Stadium, in 1890. The club were founder members of the Northern Union in 1895, when the sport that would become Rugby League, broke away from Rugby Union to form a professional game. A century later, the Super League competition was born and the sport switched from its traditional home of winter to a new future of summer rugby. To coincide with the switch, Leeds became the Leeds Rhinos, and the club has enjoyed a period of unparalleled success since then, winning three world titles and seven Super League titles amongst 16 major honours in 20 years. At the start of 2006 plans were announced for a historic redevelopment of the newly named Headingley Carnegie Stadium encompassing both the rugby and cricket stadia that were set to usher in a new and exciting future for one of the most famous stadiums in world sport. The new name of Headingley Carnegie Stadium is as a result of a significant financial investment by Leeds Beckett University. The plans can now come to fruition following the successful purchase of the freehold of the cricket stadium and business by Yorkshire CCC from the owners since 1890, Leeds CF&A Co Ltd.
Headingley Carnegie Stadium is the pilot site for Project MONICA. Leeds Rugby will have four pilot matches and Yorkshire Country Cricket Club will also have four pilot matches. Rob Oates, the Commercial Director at Leeds Rhinos will be the representative responsible for MONICA, on the rugby side of the business. Coordinating the pilot at the Leeds site on behalf of Leeds Rugby and Yorkshire CCC is Dr Helen Whitrod Brown. Leeds Beckett is a modern professional university with ambition. Based in the centre of the vibrant city of Leeds, the biggest financial district outside of London, our vision is to be acknowledged for our commitment to student success, innovation and enterprise, global reach, and strong local impact. For the MONICA project, the Centre for Research in Events, Tourism and Hospitality undertakes high quality multi- and inter-disciplinary research on a range of matters relating to tourism and planned events with over 40 doctoral candidates. The centre’s research was ranked second out of more than fifty universities in UK (REF2014). Additionally, the School of Computing, Creative Technologies & Engineering conducts high quality research into applied data sciences, sensor data analytics, and cyber-security with 50+ doctoral candidates. Leeds Beckett will be providing support for both Yorkshire County Cricket Club and the Rugby Football Club in the pilot demonstrations in Leeds, as the University owns a part of the Headingley Stadium where the pilot is being conducted. Leeds Beckett will also provide data and participate in the validation and impact assessment of the project. We use our core competences and comprehensive range of products and solutions to help customers solve sound and vibration challenges. Since the 1950s, our products have set the standard to which others are compared. In the MONICA project Brüel & Kjær is responsible for delivering high precision Sound Level meters and microphones for outdoor measurements, which are IoT enabled, and an algorithm which can assess the noise contribution and annoyance from specific events like concerts. 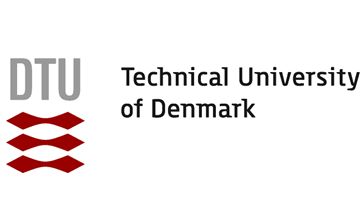 The Technical University of Denmark (DTU) is Denmark’s leading university in engineering and technology. It hosts more than 10.000 students. The university offers 28 M.Sc. programs one of which is the Engineering Acoustics program. The Department of Electrical Engineering hosts the Acoustic Technology group (ACT) which is focused on acoustic measurement techniques, transducers, mechanical vibration and its coupling to the sound field and room acoustics. The group has a strong publication record and the Engineering Acoustics M.Sc. program attracts students from all over the world. DTU’s role in the project is to develop the Sound Zone System for use in outdoor spaces, to develop algorithms and feed-back functions and to source and install the needed PA systems (loudspeakers). The group is also responsible for the sound and noise monitoring around the venue. Kingston University (KU) is situated south of London and counts 5 faculties in 4 separate campuses in and around Kingston upon Thames. Research at KU will be carried out in the Computer Science department of the Faculty of Science, Engineering and Computing (SEC). SEC was formed in 2011 and is comprised of four schools, bringing together interdisciplinary research, improving the scope of the student experience and encouraging partnerships between academia and commerce. The Faculty has over 300 academic staff and over 120 support and professional staff with some 230 research students. Within the SEC Faculty, MONICA will engage the multidisciplinary Robot Vision Team (RoViT), led by Prof. Paolo Remagnino. RoViT is one of the main research groups of the Computer Science department. Over the last 5 years RoViT has contributed to the success of the Faculty securing more than two million Euros in research grants financially supported by UK, European and US funding bodies. Dexels is a highly specialized software development company with a repertoire of large-scale applications in the Leisure and Sports industries. The foundations of the software solutions of Dexels are carefully chosen open source products. Dexels has over 10 years experience in developing software for the Sports industry & Royal Dutch Football League using a SaaS concept. As an early adopter of an XML based SOA applications, Dexels defined the infrastructure and software based on intelligent loosely coupled XML/JSON web services. The SaaS platform, called Sportlink, is currently in use by over 10 sport federations and over a million unique users across the Netherlands and Belgium. In addition, under the event & leisure brand Sendrato, Dexels has developed an award winning wearable product that is used for large events. The wristband is part of a product portfolio that allows for complete event management, integrating ticketing, access control, cashless payments, crowd control, crew accreditation and mobile visitor apps. The bi-modal active/passive RFID wristband itself allows for tracking more than 125.000 visitors simultaneously (as was done multiple times at the Tomorrowland Festival in Belgium). In 2008, Dexels has been involved in the development of a Ticketing System for the Royal Dutch Football Association. The Ticketing System includes allocated seated tickets (in stadiums), season/club card holders, individual tickets, online and on premise payments and RFID cards. For Royal Dutch Shell Petroleum, Dexels has developed an integration platform that allows for integrating several of their back-end systems, SAP and Oracle, with their global employee extranet. Dexels has adopted the best practice methodologies, such as agile development and DevOps supported by open source tools such as OSGi, Eclipse, Apache Karaf, and GitHub allowing a controlled way of daily updates as needed in a SaaS environment. DigiSky is an Italian company founded in 2007 by electronics engineer Paolo Pari and former ESA astronaut Maurizio Cheli. DigiSky invests in R&D and enables high technology innovation levels in avionics systems, special mission aircraft and advanced aerial monitoring projects. We offer innovative solutions for boarding easy-to-install, low-cost sensors on aircraft and Unmanned Aerial Vehicles (UAVs) and provide customers with turnkey integrated services to qualify in-flight avionic systems during R&D and design phases, standardised systems for fast boarding of sensors, low-cost aerial ground monitoring systems to be applied in different research fields such as precision farming, fire detection, remote medical emergency missions, surveillance and asset intensive activities. To facilitate the R&D process, DigiSky has acquired its own fleet of airplanes headquartered in the Torino Aeritalia Airport. Within the MONICA project, we provide aerial platforms for boarding smart payloads furnished by the other partners. The platform will be available both for autonomous and remotely controlled flights. DigiSky will be the system integrator of the aerial platform. Optinvent S.A. is a French SME founded in February 2007 and based in Rennes. The company designs and delivers display modules and AR glasses for next generation AR & Mobile applications. The company is shipping right now its ORA-2 Smart Glasses for enterprise and developers. The product is used for several industrial applications such as Logistic, Maintenance, Healthcare, etc. Optinvent concentrates on developing innovative optical technologies that it packages into Smart glasses hardware platform as inside display modules which in turn are sold to international OEM’s for integration into finished products. The company is targeting applications such as see-through AR glasses for mobile, informative and personal navigation as for professional applications. There have been eleven international patent filings to protect the Clear-Vu technology, four of them are already granted. In MONICA, Optinvent is responsible for customising, delivering and deploying the intelligent eyewear to be used during the pilot events. The Telecom Italia Group is a major Italian enterprise and a key European strategic ICT player. Driven by technological innovation and a commitment to service excellence, Group companies operate in landline and mobile telecommunications, Internet & Media and Information Technologies. The work carried out by the R&D Departments is the outcome of a strategic partnership with the main manufacturers of telecommunications equipment and systems, and with centres of excellence in research at the most highly qualified national and international academic institutions. On the international level Telecom Italia has pledged a substantial commitment to the task of standardisation and has been involved from the beginning in the European Union Framework Programmes starting with the first pilot projects of the ESPRIT programme in 1983 and continuing as one the primary European collaborators in terms of both finance and the number of projects. In the Seventh Framework Programme Telecom Italia has been involved in more than 50 projects; in the Horizon 2020 Programme Telecom Italia is at present involved in 21 Projects. Contributing to Work Package 7 Components & Cloud Integration and Work Package 8 Pilot Preparation, Deployment and Execution, Telecom Italia will provide an IoT ETSI M2M compliant platform. Telecom Italia will also participate in the exploitation planning, providing the point of view of industries and telecommunication operators. VCA Technology Ltd provides security personnel with a powerful tool to detect and combat theft and other criminal activity, as well as an opportunity for installers, remote monitoring centres and end-users to work together to reduce the time consuming and costly impact of false alarms. Deployed worldwide as an OEM solution in excess of 250,000 video channels, VCA analytics is included in the long list of innovative features incorporated into VCA’s own brand of IP network cameras, domes and 360-degree panoramic cameras. The MONICA project will be used to improve behaviour analysis of large crowds. Similarly, tools for security personnel as deployed in MONICA will benefit from the project’s large scale deployments. VCA’s role is also to develop and deploy the surveillance applications for crowd estimation and analysis. Atos SE (Societas Europaea) is a leader in digital services with 2014 pro forma annual revenue of approx. € 12,000 million and 100,000 employees in 72 countries. ATOS IT Solutions and Services in Slovakia (ATOS Slovakia) will participate in the MONICA project. With 320 employees, the portfolio of Atos Slovakia includes areas such as public administration, banking, industry, utilities. Atos is professionally specialised in areas such as authentication and e-identification, in hardware and software solutions, in the area of registers, IT security, and smart energy solutions. The domain of ATOS Slovakia is system integration. 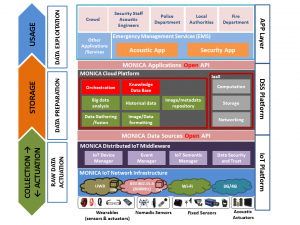 In MONICA, ATOS is responsible for the integration of all the components, networks and cloud infrastructure from the technical work packages, leading Work Package 7 Components and Cloud Integration. Istituto Superiore Mario Boella (ISMB) is a research and innovation centre operating in the Information and Communication Technologies (ICT) domain. Founded in 2000 by Compagnia di San Paolo and Politecnico di Torino, today ISMB relies on technological and process competences of around 150 researchers working in close cooperation with companies, academia and Public Administration. ISMB is organised in Research Areas focused on core sectors of ICT that are capable of managing the whole value chain, from basic technology up to its practical implementation (proof-of-concept). In the MONICA project, ISMB is responsible for the Technical Management and is leader of Work Package 3 IoT Platform, Wearables & Sensors. Moreover, ISMB is involved in the specification of the overall MONICA architecture, as well as the development of the IoT infrastructure integrating wearables, fixed and mobile IoT sensors. Finally, ISMB is responsible for the semantic virtualization of IoT resources, the development of the high-level information fusion and anomaly detection modules and leads the task of the replicating the platform after the end of the project. CERTH is a Greek research centre founded in 1998 as a non-profit organisation under the auspices of the General Secretariat for Research and Technology (GSRT) of Greece, with its head office located in Thessaloniki, Greece. CERTH/ITI is one of the leading Greek institutions in the field of Information and Communications Technology (ICT) with extensive experience in numerous European and national R&D projects, counting more than 120 projects funded by the European Commission –at least 30 of them as Project Coordinator – and more than 100 national research projects and private sector consulting subcontracts. Our role in the project involves video processing, multimodal fusion, modelling and machine learning. In addition, CERTH participates in user interface and application design and development as well as in platform integration and pilot preparation, deployment and execution. CNet is a leading-edge software house specialising in research and innovation for Internet of Things, Services and People. It is a R&D intensive software house and very experienced with collaborative international R&D projects to create innovative and exploitable outcome and long-term value from research and innovation projects. The results of CNet innovation projects are exploited through spin-off companies, who market products and services based on their Internet of Things technologies. In MONICA, CNET is responsible for assembling and deploying the situational awareness and decision support components in Work Package 6 Situational Awareness and Decision Support. CNET is also responsible for the development of all the user interfaces and apps for the applications to be deployed. Moreover, CNET contributes to the enabling of devices for the IoT semantic virtualisation layer in Work Package 3 IoT Platform, Wearables and Sensors and architecture in Work Package 2 Demand-Side Requirements Engineering for Pilots. We are a private research and innovation company, providing internet based products and services for citizen engagement, assisted living and energy efficiency. Since 1998 In-JeT ApS has been engaged as a concept and technology developer in ambient intelligence and pervasive computing, pioneering methods such as scenario thinking for deriving comprehensive user requirements, and value modelling for developing viable business models. In-JeT has specifically been incorporating business related and cross-disciplinary research tasks in eHealth and Ambient Assisted Living projects, integrating new technology development into healthcare and social care ecosystems, analysing ethical and sociological issues relating to health and social monitoring, and identifying, measuring and maximising impact. In MONICA, we will be engaged in all aspects of user and stakeholder involvement as Pilot Coordinator and Dissemination Manager. We will be involved in deriving user requirements, assessing the impact of pilot implementation and validating the results. In-JeT will also be involved in ethics and privacy matters related to pilot users and lead citizen engagement activities and communication of project results as well as the work on market analysis, business models and plans. We deliver global security, investigation and intelligence solutions to individuals, corporations, international institutions, governments, and authorities. We have an international panel of reputable intelligence and security experts. Our knowledge and distinctive expertise is founded and gathered through decades of professional experience and personal relationships within international government agencies, special operation forces and chief security officers in blue-chip international corporations. Praesidio Group is the sole security advisor and facilitator for MONICA with the following key expertise: Crowd management and control, crisis management, corporate security, staff vetting, risk planning & mitigation and surveillance. Our role is to ensure that the highest security, safety and crowd management standards and applications are incorporated, developed and implemented at all stages and levels of the project. Our goal is to minimise risks among large crowds by merging our crowd management expertise with the partners’ latest research and cutting edge technology. 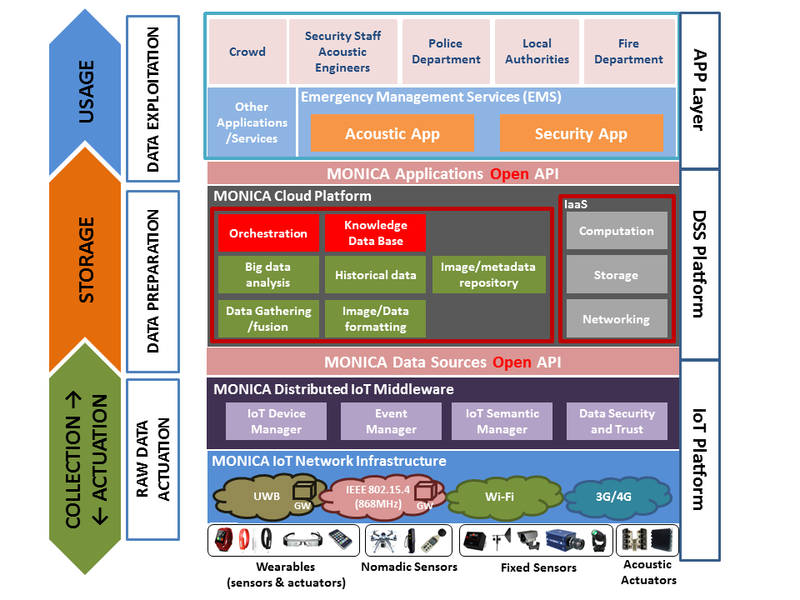 We envision MONICA as a magnificent and collaborative platform that can increase global crowd security through research, technology advancements and knowledge-sharing across borders and fields. For further information visit our website or mail us. Ring Advocacy’s main role in the MONICA project is to ensure that the project’s application of radio spectrum is in compliance with the European regulations and to identify possible new European standardisation opportunities under the ETSI auspices. Also, compliance with the application of Drone technologies (Remotely Piloted Air Systems) and future EU regulations on the protection of personal data will be the task of Ring Advocacy ApS. The company was founded in 2015 by Steffen Ring, MScEE, as a technology consultancy within regulatory affairs regarding spectrum and standardisation matters with a global scope. Steffen Ring’s background includes serving as Sr. Director of Spectrum and Regulatory Matters with Motorola Inc., International Government Affairs Office since the ITU-R World Radio Conference 2000. 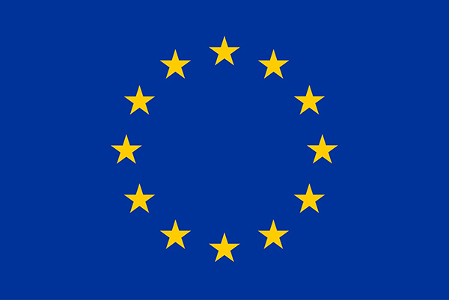 Ring Advocacy is listed in the EU Transparency Register and tabled to the list of the EU Commission’s external experts. As a member of the Confederation of Danish Industries, Ring Advocacy serves as technical expert in various Danish Government Delegations to CEPT/ECC and ITU-R spectrum meetings. Vaeksthus Zealand is a self-governing foundation with the main objective of helping SMEs and entrepreneurs generate growth and jobs. On a yearly basis Vaeksthus Zealand works with 800 SMEs on developing their business. Vaeksthus Zealand offers a variety of custom-made programmes to the SMEs, where each programme is focused on their individual challenges. Vaeksthus Zealand operates 14 incubators “Vækstfabrikkerne”, mainly in Region Zealand, Denmark, and has operated these incubators since 2010. The businesses located in the incubators are offered an incubation/business development programme to minimise their risk of failing and further accelerate their growth potential. The incubator “Copenhagen Sound” is dedicated to creating a unique growth environment for audio start-ups and is composed of technology experts, creative music entrepreneurs and leading sound engineers. Moreover, Copenhagen Sound provides access to the professional network in the Danish and international audio industry. In the MONICA project, Vaeksthus Zealand/Copenhagen Sound, will be the representative for the new starts-ups generated in the project. We will open up markets and facilitate new opportunities and give start-ups and incubators all over Europe the opportunity to participate in the development of new technologies that can be used in the Pilots. Vaeksthus Zealand will also be responsible for the dissemination of data needed for start-ups to use in the development of new products and technologies.